The restored Medievel Gothic Church is completed but we are not done yet! 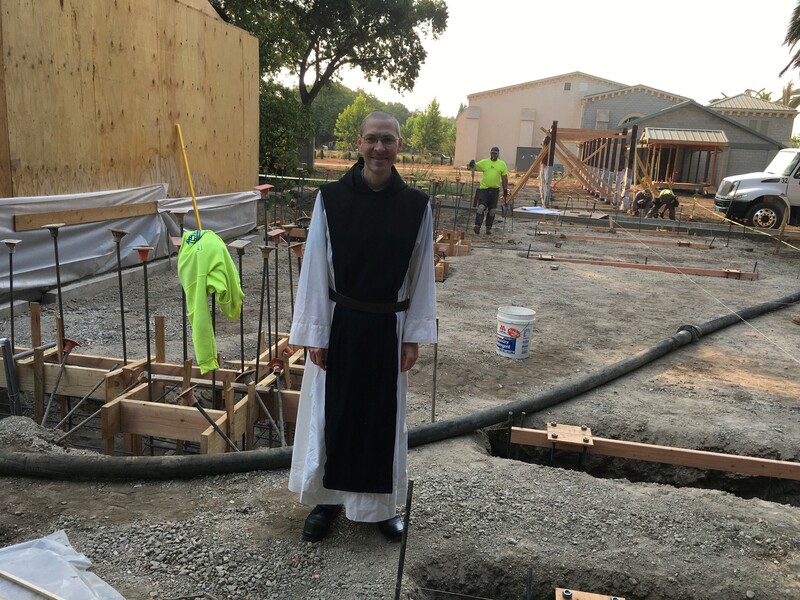 The next phase of construction is the installation of a covered walkway connecting the monks back entrance of the Church to the Chapter Room, and to renovate the Chapter Room facade. The Chapter Room is the 'meeting room' of the monastic community, it is where the brothers gather to take counsel, hold elections such as the selection of the abbot or the reception of new members, or about other important community decsions. It is also where the abbot gives his weekly Chapter Talk, a sermon on the monastic way of life.